Thanks to all your support today. 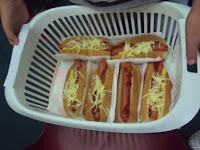 We hope you enjoyed our hotdogs. Look for our posts about our trip to Wellington. The hotdogs rule and they were yummy. Thank you Miss Gorrie and a big thank you to the parents that helped. Lets just hope we raise enough money to go to Wellington. 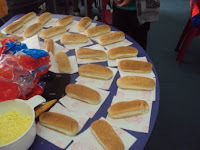 The hot dogs were delicious can't wait for next weeks hotdogs. Those hotdogs were mean as. Those hotdogs were beautiful can’t wait until next time. Your hotdogs rocked i should have ordered 2.